District Angling is an independent company formed to fill a small niche in the Washington DC area. We cater to fishermen wanting access to local fisheries. We specialize in fly fishing. You probably remember us if you were a customer of a few of the previous shops in the DC Metro area. 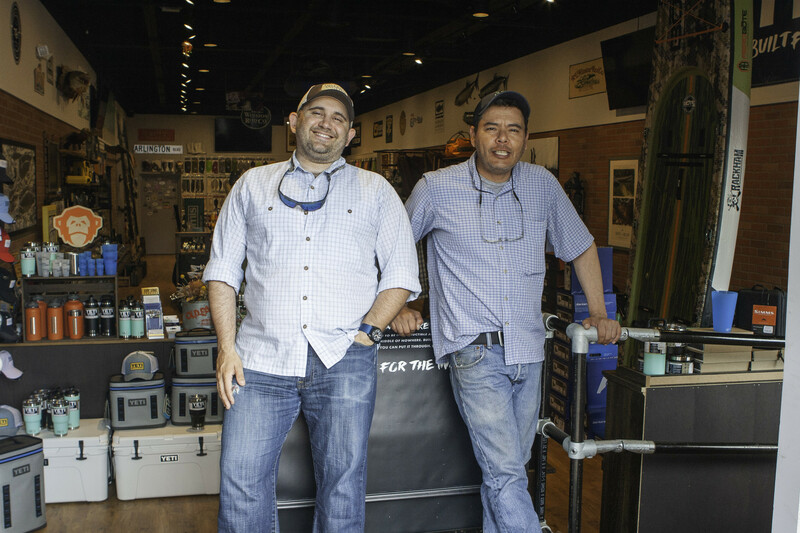 Our brick and mortar buildout is finally complete - we're open for business at 2105 North Pollard Street in Arlington, VA. We're the same casting and fly tying instructors, travelers, and fly fishing experts that you've come to know and trust. We're first and foremost anglers, just like you. We're fly fishing junkies. We love the sport, and try to fish as much as we can. We love to fish wherever we can. We fish locally, and we travel to wherever a fish will eat a fly. We also love helping people enjoy the sport. We understand the mechanics of fly casting and the techniques that make fly tying easier and enjoyable. We also have a long history of providing excellent customer service via our retail store, by phone, and through catalog and eCommerce sales. We will continue to build upon our business in the coming years with more educational events, clinics, and travel opportunities. We're also more involved in conservation, outreach, education, and fundraising. We not only support national organizations like Project Healing Waters, Coastal Conservation Association, and Trout Unlimited, we also participate in important events and regional awareness like the Friends of Fletcher's Cove, Trout In The Classroom, and the Cape Lookout Albacore Festival. Please browse our site and learn more about who we are, what we do, and how we can help you. From events like the Fly Fishing Film Tour to tying custom flies for your trips to exotic destinations, we're here to help.